Registering a company in Estonia has proven to be beneficial, it is one of the only European Union member state to have implemented a system where corporations only pay taxes on their distributed dividends. This is if the laws of your native country does not interfere, it grants you the benefit of not paying taxes on profits made, as long as they remain in Estonia. 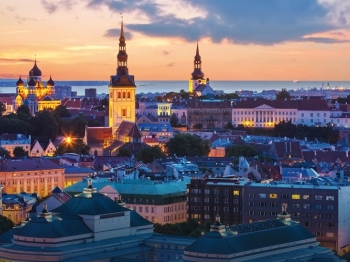 The registration of a business in Estonia can be done with Law and Trust International. The lawyers of Law and Trust are experts with a broad range of experience. They will assist you during the course of your company set up and as a result, they guarantee a prompt completion of all stages of the company's registration in Estonia. The formation of a company in Estonia can be done knowing that the law of the country allows for complete foreign ownership and directorship of the company. The company requires a minimum of a shareholder and a director. Note that either of them must be of legal age (18years and above). The minimum share capital requirement is €2500 but with no corporate income tax on undistributed profits or investment. There is a 20% corporate income tax on profits distribution. The company name registration in Estonia can be done with Law and Trust International. Application and Digital ID - Filing of an application and securing a digital ID is the first step in the registration process. Legal address and contact in Estonia. Registration of the company. This involves choosing the company’s business name and its main field of activity. Banking requirement. A bank account should be opened to help provide financial solutions. General partnership and limited partnership. A branch of a foreign company. How much does it cost to register a company in Estonia? The cost of registering a company in Estonia is $1650 while from the second year, it costs $850. The registration process may take from 14-16 days. If you are interested in setting up a company in Estonia, lawyers of Law and Trust International can help. Write us an email or simply call now to take the next step in your business! In Estonia, a Trademark Registration Request includes a limited translation of documents into Estonian; if a longer translation is needed, there will be an additional minimum cost of USD 40.